This Ian Chappell speech at the Raj Singh Dungarpur World Cricket Summit in Mumbai last week nearly stole the show from the other speakers. But, that’s typically the job of the keynote speaker. At this event, and of course, at other cricketing events. His speech praised the lifetime achievements of the late Nawab of Pataudi with some vivid recollections of the Nawab’s first tour of Australia witnessed by the young Ian Chappell. Tiger missed the first Test because he pulled a hamstring as if one eye is not a big enough handicap. And if you want to know how big a handicap that is, try closing one eye and catch a cricket ball. It’s not very easy. “I didn’t have my own bat, gloves so each time I went out, I just picked up the bat nearest to the door.” He got 75 in the first innings and just to prove that was not a fluke, he got 85 in the second innings. You know that a story telling speech can work perfectly in sport, the entertainment industry or even in politics. Just make sure that you are not the principal player in the story. 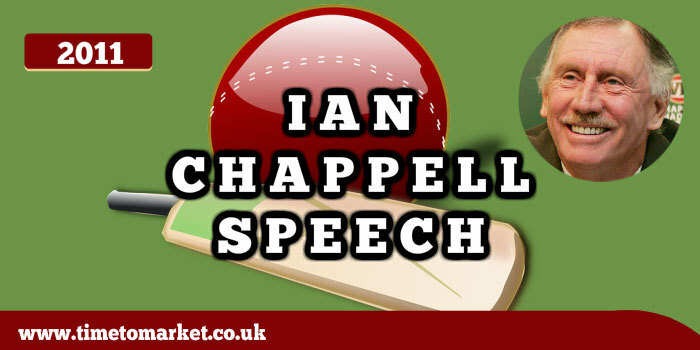 The Ian Chappell speech was followed in the second session of the day by Mike Brearley’s Voice of Cricket lecture. This was altogether a more serious and staid affair. Because he spoke about the damaging effects of corruption on the game of cricket. But, in contrast to the Ian Chappell speech, Mike Brearley’s speech was serious, dutiful stuff. Yes, the excitement and vigour of the Chappell speech perfectly portrayed the flamboyance of the late Nawab. This wasn’t a eulogy, but it certainly paid homage. 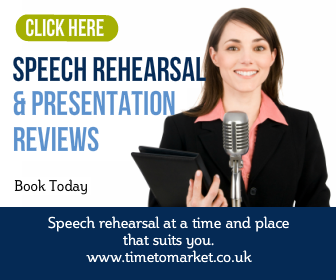 You can read a ton of other public speaking tips with Time to Market. These are perfect for your next speech or team presentation. 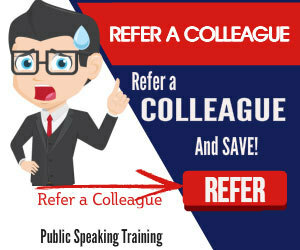 And, when you are ready to give all your skills a proper work-out you are always welcome on a public speaking course or a public speaking skills coaching session. Please don’t hesitate to get in touch when the time is right. Thanks for such a useful article. Loved it so much. Do Visit our Cricket forum also if you like.